Contact Bal Harbour Bike Accident Lawyers Gerson & Schwartz, P.A. If you were injured in a motorcycle accident in Bal Harbour you need experienced attorneys. 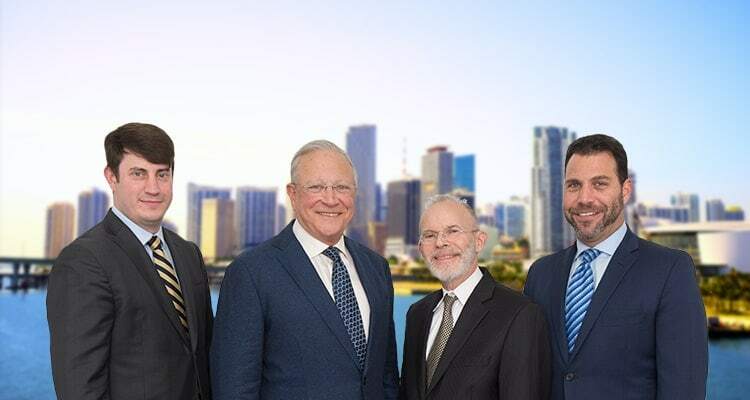 At Gerson & Schwartz, our Bal Harbour motorcycle accident lawyers represent personal injury victims throughout Bal Harbour and other areas of Miami Beach and South Florida. If you have been injured in a serious motorcycle crash, it is essential that you retain a personal injury lawyer as soon as you can. Motorcycle accidents tend to have complex medical and legal issues. Motorcycle accident liability is often contested because motorcycle riding is perceived as inherently dangerous. Gerson & Schwartz personal injury lawyers have the skill and resources to assist accident victims and their families. To set up a free consultation with a motorcycle accident lawyer in Bal Harbour, call our law office today at (305) 371-6000, or send us an email through our online contact form. Bal Harbour is an oceanfront village in Miami-Dade County that is world-renowned for its upscale environment, including Bal Harbour shopping mall, dining, hotels, and, of course, white sand beaches. Many people find that the roads in Bal Harbour are ideal for riding a motorcycle. Unfortunately, motorcycle accidents are not uncommon in this area. The village’s unusual name is an interesting quirk of history. The village’s founders wanted to name the area “Bay Harbor,” but the planning committee didn’t think that was appropriate for a village that was on the beach. Instead, the committee invented a new name that would encompass a village that ran from the Biscayne Bay to the ocean. The letter "b" was taken from "Bay," and the "a" and "l" were taken from the name "Atlantic," and thus the word "Bal” was born. 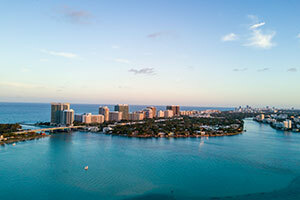 Given Bal Harbour's breathtaking location on the ocean, it attracts thousands of tourists every year. Sadly, many of those tourists end up being injured in motorcycle accidents in Bal Harbour and other areas of Miami Beach coastal roadways. If you were injured in a motorcycle accident in Bal Harbour or Miami Beach you should speak to a an injury lawyer as soon as possible. There are no fees unless we collect and no upfront costs. If you have suffered any of these types of injuries, you are likely looking at the prospect of expensive medical bills, extensive time off work for healing and recovery, and significant pain and suffering. Liability for motorcycle accidents is often based on negligence. Negligence occurs when one party fails to exercise the appropriate degree of care in preventing some kind of harm from occurring. For example, all drivers owe motorcyclists a duty not to cause accidents. Behavior that is consistent with that duty would be checking their blind spot before changing lanes. When a driver forgets to check their blind spot before changing lanes, and they hit you, then that driver's behavior has fallen below what was required of them, and they may be liable for your accident through negligence. At Gerson & Schwartz, we are here to help you in the event of a motorcycle accident in Bal Harbour. We have represented clients throughout Southern Florida and are proud of the reputation we have built representing those who have suffered injuries after a motorcycle accident in Bal Harbour. Our lawyers have over 100 years of combined experience and we are qualified to get you the compensation to which you are legally entitled. We offer all of our clients a free consultation and will never collect any legal fees from you unless we successfully recover on your behalf. Schedule your appointment with a lawyer today by calling (877) 475-2905 or by filling out our contact form.